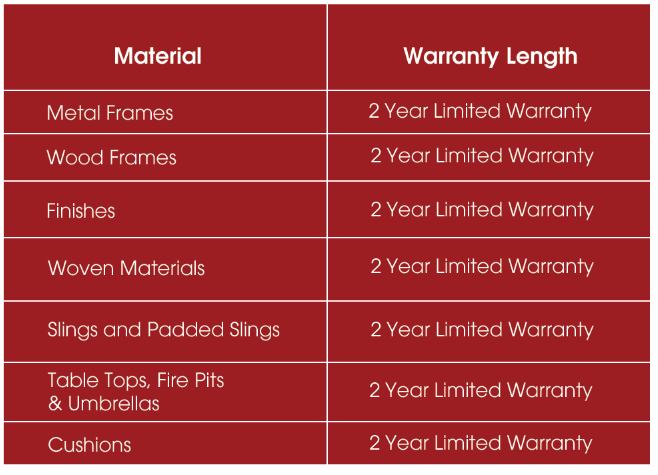 Simply Patio warrants its products from manufacturer’s defects from the date of purchase. 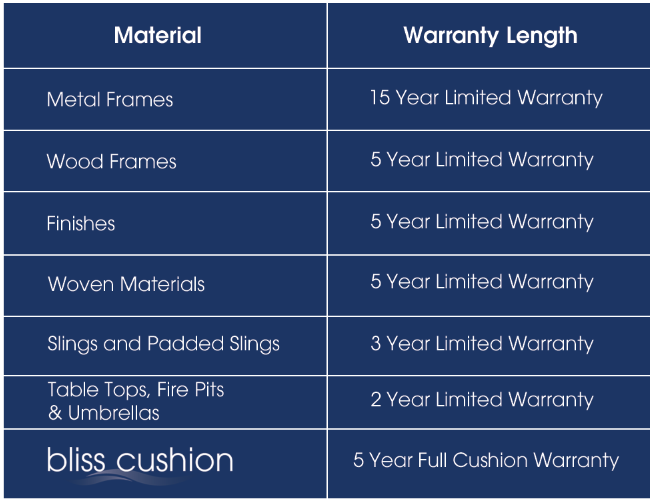 The warranty periods stated are limited to the original purchasers, exclusively for residential applications. Please contact us for warranty information for specific pieces.